It's not often you get something that's both functional and decorative, but Tubor's One-Radiator mirrors are that and more. 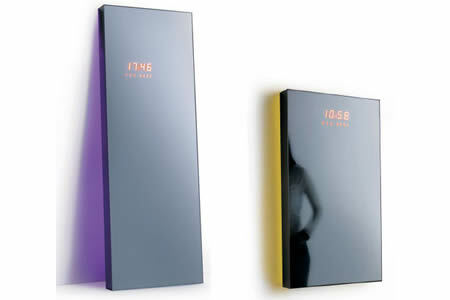 These radiators have a nice purple or yellow halo backlight, plus they even display the current time. With winter setting and Gizmodo editors scrambling to save our remaining eight toes, all we can think about is radiators. And now when you check yourself out in the mirror, and ask your husband, "am I hot", he can reply, "yes, if you keep standing next that thing."